– The hallucinations arising from drug abuse. 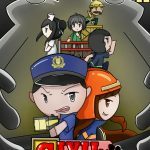 Civil Heroes is a mobile application game to teach children about cooperation and teamwork amongst people of different jobs. 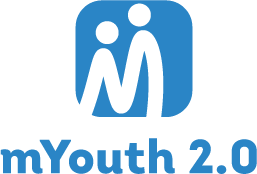 Players control a character that may change between 3 different roles. Depending on the level these 3 roles may be completely different. These roles include a policeman, a cleaner, and a firefighter. 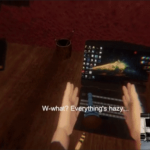 The game was developed to encourage Singaporeans to gain a greater appreciation for different occupations in Singapore society are oftentimes looked down upon. 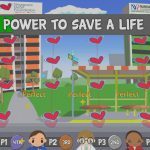 It is a game that teaches players how to perform CPR training; knowing how to perform CPR will allow one to help save a person’s life. The game is connected to 4 mannequins that act as the inputs to the controller box to allow players to exercise the techniques of performing CPR. The players can also select multiple songs to aid for their CPR training. Upon completing the game which is a whole cycle of 1min (time to perform a CPR cycle), their accuracy will be tallied and feedback on how well they have been trained for CPR will be displayed on the screen.